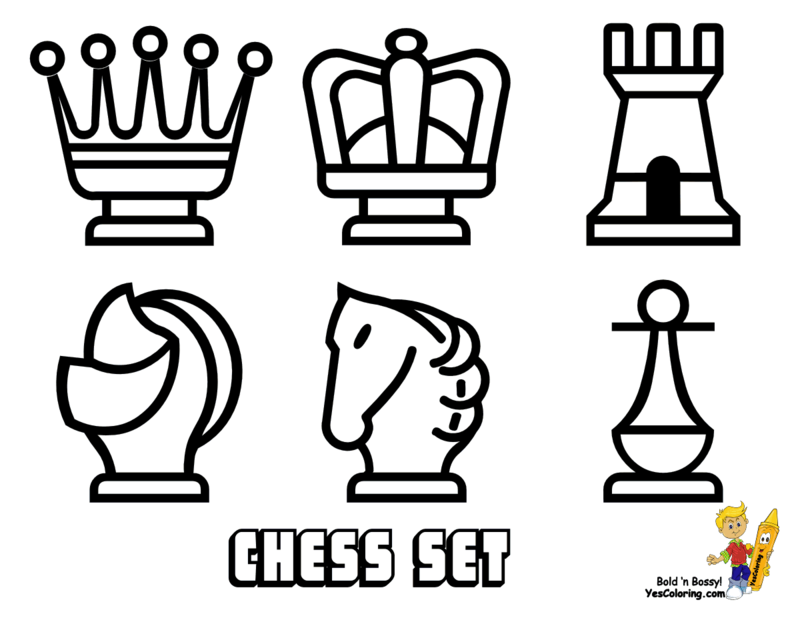 Smooth Chess Coloring Pages to Print 1 2 3 Easy! Chess originated in India in the 6th century. It was called "chaturanga", which means literary "four divisions of the military". Another theory is that is started in China around the 2nd century BC. Chess reached Europe and Russia around the 10th century. What we do know is that today Chess Games are held any where, in homes, at clubs, online and by mail either for recreation or in a competition or tournament. The most important aim of the game is to checkmate the opponent's king! "International Grandmaster" is one of the highest chess titles you can receive. J. Polgar achieved this at the age of 15. Bobby Fischer was awarded this title at 14 years old. Maybe it's easier to learn how to play chess at an early age but of course chess isn't only for the very young, it's popular with all ages. Chess games can last hours or minutes depending on the skill of the players or even their fortune. It is unbelievable but there have been games which involved only 1 move, amazing! Chess sets are not only practical and simple; many of them are beautifully crafted and unique. If you already know how to play chess why not treat yourself and upgrade your chess board and chess pieces with a quality set? If you never played before but you want to start then all you need to do is purchase yourself a basic chess set and you can start learning how to play chess today. Oh, and you will need a willing partner of course! Chess Board Game of English Bishop, Rook, Knight, Pawn and Chess Game Board. "Smooth Chess Coloring Pages at YesColoring"